The employment market in Brisbane is probably the widest Job market of all the major cities in Australia – with a large mix of both white and blue collar workers. Positions are available in the finance sector, education, public services, information and technology along with railways, paper mills, petroleum refining and metal working. Brisbane has also poured a lot of money into areas such as education, technology and biotechnology which has attracted a new and different mix of people into the area. Brisbane also has the fourth highest median household income within Australia that has enticed many to move interstate to take advantage of great wage packages. If you are looking for a part of Australia that offers great employment opportunities there are few states that can actually match the attraction of Brisbane. If you are looking for mining, engineering or IT jobs a good place to start is applydirect.com.au another good place if you are looking at agency work is staffing.com.au providing temp to permanent positions everything from accounting and marketing to human resources and healthcare. Other recruitment or job agencies of note are – hays.com.au, Adecco.com.au, Davidson Recruitment at 8/344 Queen Street Brisbane and Stenhouse Recruitment Services – 8/97 Creek Street Brisbane. With some companies such as Subway, Virgin, Austar, Suncorp, Flight Centre, Boeing and Orrcon having their head office located in Brisbane – with many others also locating their regional offices in Brisbane it means there are a lot of executive jobs available, with many in the blue and white collar industries. Some of the biggest employers in the state include tourism, retail, construction, heath, administration and higher education. While Brisbane is home to such large corporations it also has many small businesses that employ less than 20 people. The industrial area of Brisbane is located near the suburbs of Richlands, Eagle Farm, Virginia and Rocklea, with a port, refineries and airport the area has become known as *Australia’s Tradecoast* and there is set to be a lot of work available in this area soon. 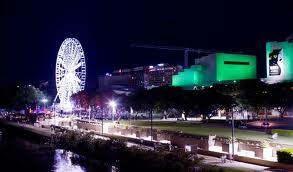 There are also jobs to be found at Brisbane’s council and government bodies. On the councils career website you can look for work or register your interest in current or upcoming positions. Other councils in the South East Queensland region also advertise their job vacancies in both local papers and on their website. Careerone.com.au and seek.com.au update their listings daily and be sure to pick up a copy of the Saturday *Courier Mail* – this newspaper has a classifieds job section with local jobs advertised weekly. Don’t forget that networking, facebook, twitter and company websites are also a great way of finding out about jobs often before they are formally advertised. Have you made the move to the Sunshine State? Have you any advice or tips for any of our readers who may be considering a move interstate or just closer to the city? We’d love to hear about your experiences, good or bad.